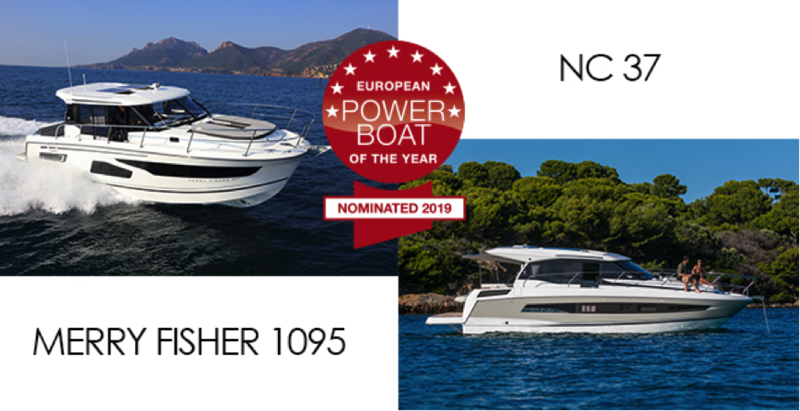 The entire Jeanneau crew is pleased to announce that two new powerboat models have been nominated for 2019 European Powerboat of the Year Awards. The new Merry Fisher 1095, an outboard designed for the joy of cruising, is nominated in the category 25 to 35 ft. The new NC 37, which enables you to live life at the sea in absolute comfort, is nominated in the category 35 to 45 ft. The winners of the European Powerboat of the Year will be announced during the Düsseldorf Boat Show, at an awards ceremony that will take place on the 19th of January 2019. The jury of the European Powerboat Award is put together from test riders and editors-in-chief of the leading European motorboat-magazines. Båtliv (Norway), BoatMag (Italy), BOOTE (Germany), Motorboot (Netherlands), Nautica y Yates (Spain), Neptune (France), Marina CH (Switzerland) and last but not least Yachtrevue (Austria).